Here's my thoughts and research on why you (and I and everyone really) should stop buying and using antibacterial soap. This post has been on my heart for a while, but after seeing so many misunderstandings about this type of soap, and what it does and does not do, I really felt compelled to finally take the time to explain my position. Let me preface this discussion with this general warning. I don't normally write about anything extremely controversial. After all, we're talking about stains, cleaning and laundry here. How much controversy can their be? But I acknowledge this topic is different. People have strong opinions about this, and that's fine. But opinions and scientific fact are different things, just remember that! In addition, I am not typically one to tell people what to do. Instead, I'm a person who likes to present valid options, because there is generally more than one right way to do something, and then try to discuss the pros and cons of choosing one method over another. 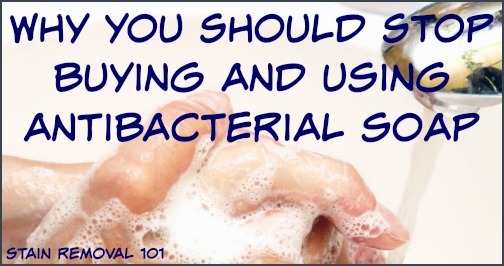 However, I do not shy away from telling people what I know won't work in a given situation, and after much research I feel comfortable with my stance of saying you should neither buy nor use antibacterial soap in your home. 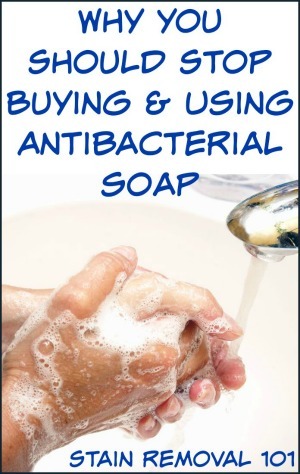 So with those prefaces in place let's dive into why in this case I'm being rather proscriptive, and telling you to stop buying and using antibacterial soap. Antibacterial soap is just normal soap with an added ingredient or two, which is designed to kill bacteria. Typically this ingredient is either triclosan or triclocarban. Any soap that says it is either antibacterial or antimicrobial typically contains one of these chemicals. In addition, some products called "deodorant" may also contain one of these ingredients. We think most of the time of these types of soaps being in use for washing your hands, but it is not uncommon to also find these claims of antibacterial soap in body washes, as well as dish soaps. Similarly, they can be found in either liquid or bar soap form. Killing Bacteria Does Not Kill All "Germs"
The marketing behind products that claim to be antibacterial is that when you buy them, they're trying to provide you with the assurance and idea that you're killing all the germs that can make you ill. However, basic biology tells us that bacteria are just one type of "germ." There are also viruses, fungi and protozoas, so if you're trying to use antibacterial products to disinfect a surface from all types of germs, you're using an ineffective tool. In fact the name tells you the product is not designed to kill things like viruses which cause the flu or the common cold for example. 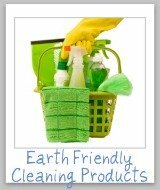 So the question is, why have products ladened with triclosan and similar chemicals become so prevalent in our cleaning products? The answer, sadly, is money. I don't make this claim lightly, because it is very serious. But a look at the history of the marketing of these products shows that they have become so pervasive in our society because ultimately they make the companies money. And the public's desire to buy them, often to the exclusion of products that don't have triclosan, is because of the marketing which subtly but effectively says your family will be safer and healthier if you use them. I believe when scientists invented antibacterial soaps they hoped they would be more effective and make us a healthier society. Unfortunately, scientific studies have shown that washing your hands with an antibacterial soap is no more effective then handwashing with regular soap and warm water for preventing illness. You can be sure that the companies who manufacture these products know this. They've seen the studies. But they continue to put the triclosan and similar chemicals in the soaps because adding the word "antibacterial" to a product provides the impression that it is better and more effective. This in turn makes more people buy it, or be willing to pay a higher price for it. So basically, it makes a company more money to add the word "antibacterial." That's why it is still happening. If you were tricked by that word in the past, don't be embarrassed. That is exactly what marketers worked to make you think. Which is why this article has been on my heart. I don't want people to be spending money on a product because they love their family and want to keep them safe when what they're doing is not effective. So I promised to provide you a link to an article where the government itself admitted these products are not more effective, and here it is. Millions of Americans use antibacterial hand soap and body wash products. Although consumers generally view these products as effective tools to help prevent the spread of germs, there is currently no evidence that they are any more effective at preventing illness than washing with plain soap and water. Here's the link to that entire press release so you can read it for yourself. I personally find it bad enough that products that are marketed to appear to work don't. I find that a yucky business practice at best. But if that was the worst of it my message to you would be, don't bother wasting your money on these products, but if you feel like using antibacterial soap then fine, it's your money, use it how you like. But the ingredients in antibacterial products don't just waste money. There is evidence that these products can cause health risks for your family, and for society in general. Further, some data suggest that long-term exposure to certain active ingredients used in antibacterial products—for example, triclosan (liquid soaps) and triclocarban (bar soaps)—could pose health risks, such as bacterial resistance or hormonal effects. Do you see now why I urge you not to buy or use antibacterial soaps? Here in this article I'm not going to speak much about the potential hormonal effects of these products because I haven't done much research on it. But frankly the hormonal effects are just yet another reason not to use these products. What orginally convinced me though was just knowing a very small amount of evolutionary biology which convinced me that these products are bad news. Evolution: Overuse Has The Potential To Cause Resistance & "Super Bugs"
Excessive use of these products has the potential to cause bacterial resistance. That's because, as Jurrasic Park so eloquently put it, "life finds a way." You try to kill enough bacteria long enough and some will begin to evolve immunity, and those little one celled orgamisms multiply fast, and the ones that are immune will live while those that aren't die. And eventually all of the bacteria left will be resistant. That's basic evolutionary theory. I'm not really interested in debating evolution here, and I won't. Instead for anyone who thinks "superbugs" aren't a real thing just ask anyone who's had an MRSA infection and struggled to find antibiotics that can help cure it. Then I hope you'll be convinced that bacteria can develop immunities to antibiotics. Bacterial resistance to antibiotics is a real phenomenon. It is also something we as a society are experiencing not as some apocalyptic event theorized to occur in the future, but unfortunately right now. Today. Since basic evolutionary scientific principles say that using a widely prevalent product designed to kill bacteria willy nilly can also cause bacterial resistance, I feel very confident in saying we should not be using these products in the way we currently are as a society. Does This Mean I Shouldn't Disinfect Anything? When I've told people my opinions about antibacterial products in the past this often leads to this question -- does that mean I shouldn't disinfect anything in my house? I want to make that very clear in this article. I think you need to disinfect certain areas of your home, regularly. But what we're talking about here is not using soaps that use triclosan or similar chemicals because they are not effective. Obviously, I urge you to wash your hands, often. It's one of the easiest and most effective ways to keep from getting sick. Just use regular soap and water though, not these antibacterial soaps. Here's my article on how to wash your hands if you'd like a primer. It is not complicated, and is very effective. Similarly, there are hard surfaces that should be disinfected in your home, such as food preparation surfaces in the kitchen and your bathroom. Again, disinfecting these surfaces is proven to reduce the chance of illness. 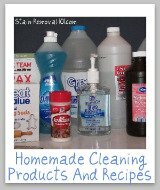 But we've gotten into a mind set that if it is good to disinfect and clean those surfaces thoroughly, it must be good to disinfect everywhere in our homes. And that is not necessary. In many situations you need to be asking yourself, why are we concerned with killing germs everywhere? 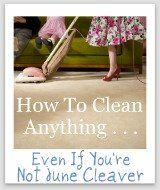 There is no reason in many parts of your home to disinfect, with exceptions I've already mentioned. For example, there are very few instances where I can think of a need to disinfect a mirror. So why certain glass cleaners contain antibacterial ingredients make absolutely no sense to me. It is clearly marketing and playing on people's fears, not actual helpfulness that has spurred their inclusion. Plus, recall that I explained above that killing bacteria and killing all germs (i.e., disinfecting) are completely different things anyway. Using an antibacterial product and expecting it to disinfect a surface is never going to work for you anyway. 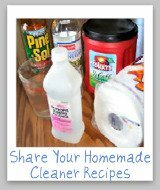 Since I see the most claims for "antibacterial" on dish soap of all cleaning products, I wanted to call these types of dish soaps out for special consideration. I do not believe that an antibacterial dish soap is ever necessary. In fact, you can figure that out for yourself just by reading the fine print on any bottle of such soap. The claims about "antibacterial" are NOT claiming to kill bacteria on your dishes, which is what you assume they're claiming. Instead, they are claiming to kill bacteria when you use the dish soap to wash your hands! 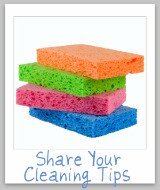 If you are concerned about thoroughly cleaning your dishes, and please do not take this article to suggest you shouldn't be, you will do just as well by washing dishes in hot water with regular dish soap, and drying with a clean cloth. In a way the answer to the question of what we should be doing instead of using antibacterial soaps is pretty simple, at least in theory. Clearly, we should neither buy nor use antibacterial soaps in our homes. But notice I said what we should do, in theory, is simple. I will be the first to acknowledge that in practice not using or buying antibacterial products isn't quite as easy. The reason for this is that they are so widely available, sometimes to the exclusion of non-antibacterial products. My big wake up call came a few years ago when I wanted to buy some more liquid hand soap in a big jug refill for my bathrooms. I went to the store and it was extremely difficult to find a hand soap that wasn't antibacterial. At this point it actually takes more effort to avoid these products then to just use them. I mean, really, think about when you use the restroom in any public place. When you go to wash your hands I can bet that soap is antibacterial. Just statistically, it is very likely it is. So while I like to make things as simple as possible in general, in this case I am urging you to take additional steps to try to avoid these products, even though that takes more effort. That's another reason I'm writing this article. While people buy these antibacterial soaps, either on purpose or as a default because not many other options are available for them in stores, it is going to keep being a problem. The more people that stop using these antibacterial products, and request their stores carry better options, the easier it will be for everyone to avoid these products.